What Happens in Vegas... Ends Up on Snapchat is a beautiful lilac linear holographic polish with holo microglitter for extra sparkle and shine. 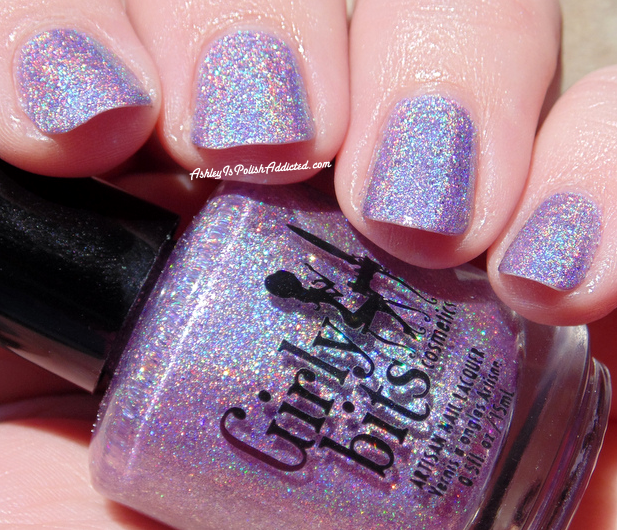 This is one of the most in-your-face holos I own! The formula was smooth and easy to work with. It was opaque in two coats (which is what I am showing in the photos). 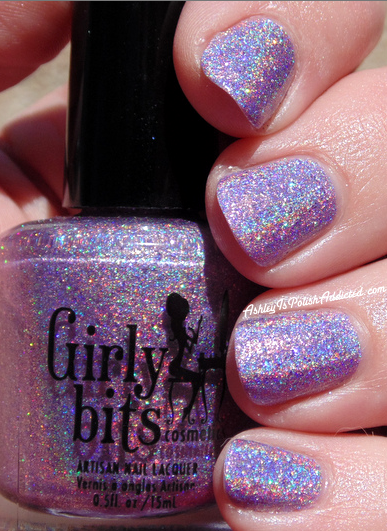 The microglitter in this does make the finish a bit rough so I recommend two coats of top coat unless you're using a thicker topcoat. I used two coats of top coat for the photos below. 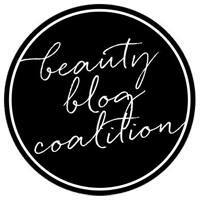 This beauty will launch on August 28th along with the What Really Happened In Vegas Collection. It will be available for 3 days as a pre-order and then it will be gone so if you want it, make sure you get it while you can! 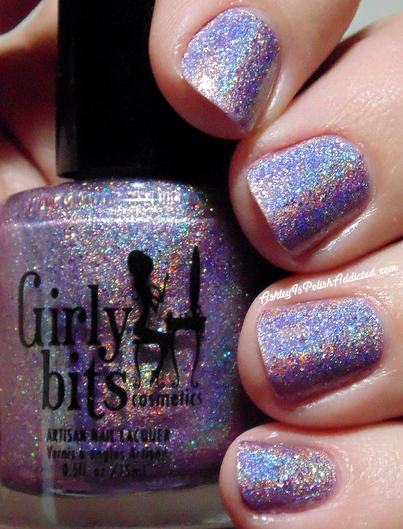 Visit the Girly Bits links below for swatches and updates!